Serial links are all over your PCB, and here’s no-nonsense guidance on how to handle them in layout. 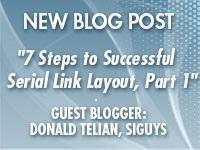 Have a look, and forward the 7 Steps to your layout team too. SFP+ modules operate at up to 11.1 Gbps and interconnect using low-voltage SFI signaling, per the SFF-8431 Specification. 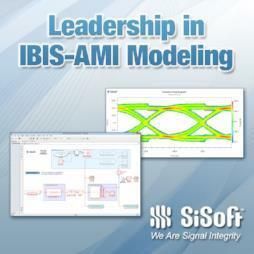 This Kit helps you to verify compliance quickly. Sometimes we waste time on things that don’t really matter at our data rate. Read this post to learn a simple rule-of-thumb to help you understand what to focus on when. This series of 20 videos is your fast-path to learning QCD. Choose topics you are unfamiliar with, or work through the whole series. There’s also a series for learning QSI. Why did my trace widths change? PCB fabrication vendors often adjust or “re-image” your trace dimensions to achieve “controlled impedance”, perhaps causing discontinuities and loss you didn’t expect. Read page 23 to learn why this happens and how to contain it. 2018 software is available now. Try out Tracer, Debugger, Splice and Snap, and more. Check out the Release Notes to find out what’s new.